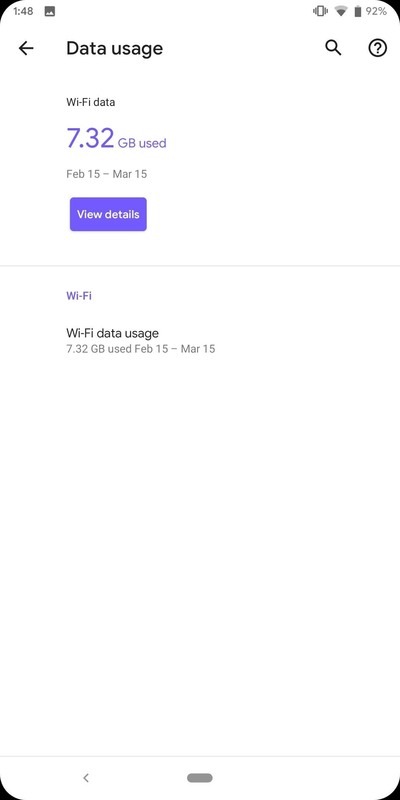 This feature is very similar to Oxygen OS's accent colors. It lets you adjust the secondary color (which by default is blue) wherever it appears in Settings and Quick Settings. This is different from the system-wide dark mode which reverses the primary color from white to black. 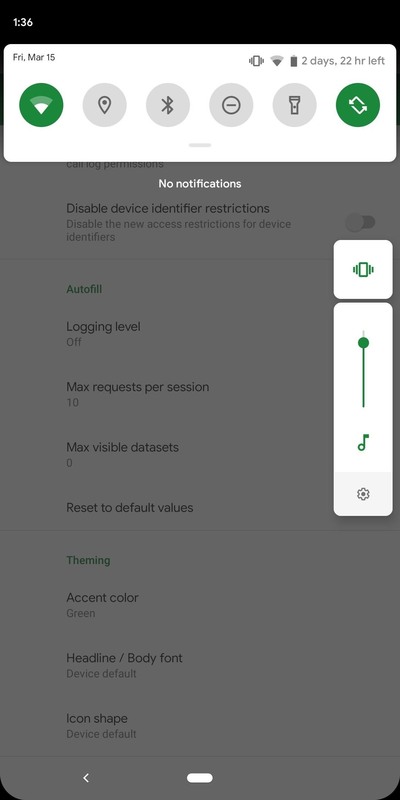 Instead, this will alter the color of active Quick Settings tiles, toggles, and much more. The first thing you need is to turn on Developer Options. To do so, open Settings and choose "About phone." Locate "Build number" (which is the last option) and tap it seven times rapidly until you are taken to a new page prompting you for your lock screen password, gesture, or PIN. After successfully entering the requested information, a toast message will appear stating "you are now a developer" and you will be returned to the previous page. 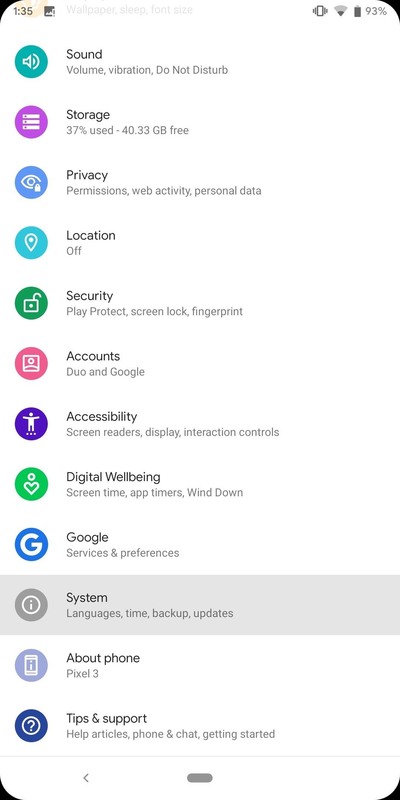 Return to Settings and choose "System." 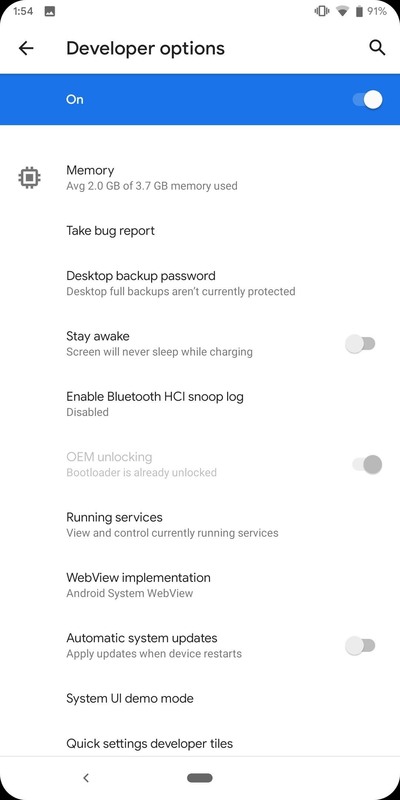 Select "Advanced," and a new option will appear above "System update" called "Developer options." Choose this option. With Developer Options open, scroll to the bottom of the page until you see a grouping titled "Theming." 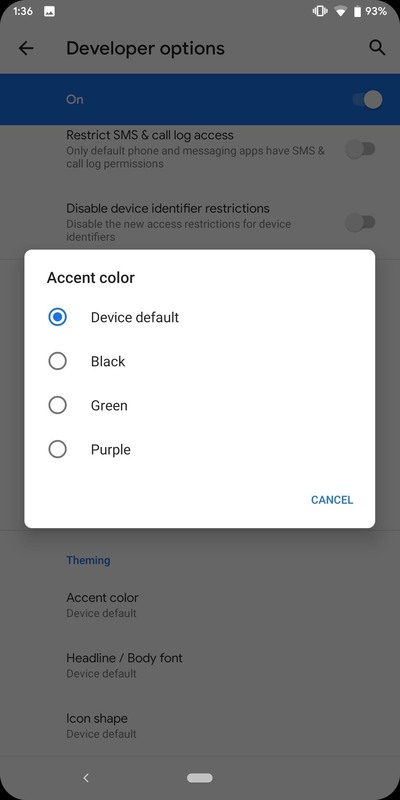 Choose the first option, "Accent color," and a popup will appear with four options: "Device default, Black, Green, and Purple. These are the accent colors you can choose to change to, with blue being the default. 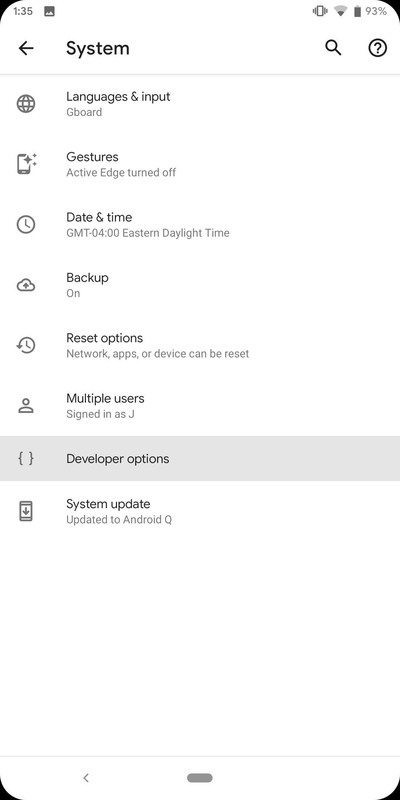 Select any option and the color of active Quick Setting tiles, the brightness bar, the volume rocker, the icons in the power menu (except for emergency), the text cursor, radios, the battery icon in the "Battery" menu and more will change. Virtually any place which was blue before within the system UI will now be the new accent color. If you ever want to go back to blue, just return to this menu and select "Device default." 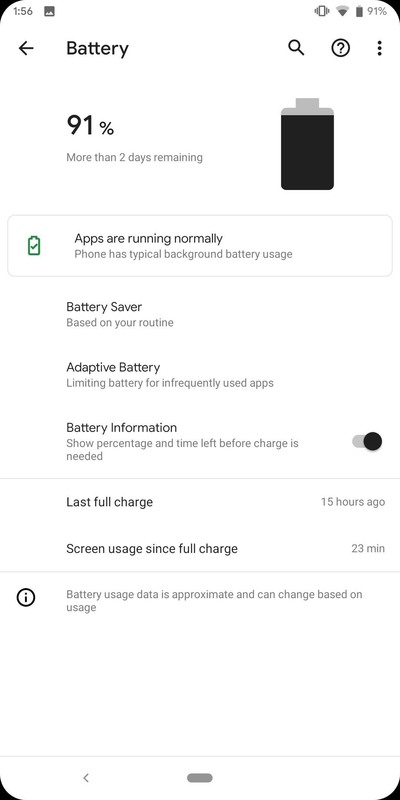 I tried this on my Pixel 2. I was fine until "look for theming." I don't see it. Doesn't this work on Pixel 2?